Editor's note: Mariko graduated from the book conservation program in 2013, and immediately moved to Singapore and started working for Q Art Conservation-the place where she had done her work placement as a postgraduate student. We last heard from her when she first started; here's what she's been up to recently. My work at Q Art Conservation http://www.qframing.com.sg/ in Singapore is mainly paper conservation, which I'm grateful to have. It is such a privilege to look at beautiful works of art on paper up close. 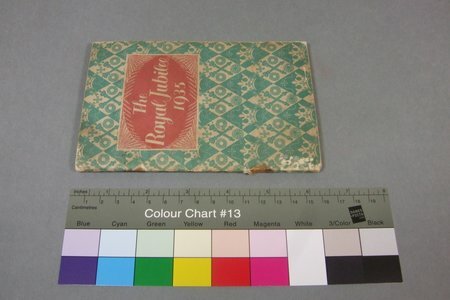 On the other hand, I do miss book conservation and bookbinding. I've had only a handful of book conservation projects in the past two and a half years. Sadly in Singapore, there are not many people who own and care about old books. As far as I know, there is no antiquarian book fair, and there is only one second hand book shop which sells antiquarian books in this country. Such a situation naturally means opportunities to handle antiquarian books are rare. I am very fortunate to be friends with a special person in Singapore. Since I first met Ian Tan a few years ago, he has been passionate about promoting bookbinding in his country. He took personal lessons in bookbinding while he was a student in Edinburgh. 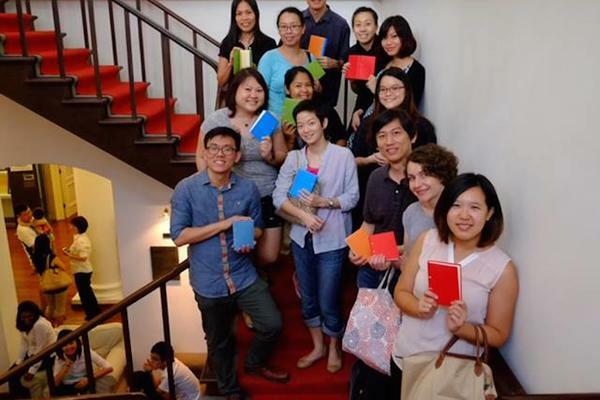 Since 2013, he has been running The Thistle Bindery in Singapore and teaches some bookbinding workshops each month. He is also a West Dean graduate-but in building conservation! In June 2014, Ian invited me as a "master bookbinder" (!!!) to teach limp binding to twelve enthusiastic participants. As it was my first teaching experience, yes, I was pretty nervous. I wasn't sure if I had prepared all the materials and tools, if all the binding steps were in my mind in the right order, if I could explain things well enough for everyone, and so on. Indeed, the class went well. Everyone completed a book to bring back home. And can you see their smiles in the photo? Limp binding was a good style of binding for a relatively shortt, six hour teaching session. 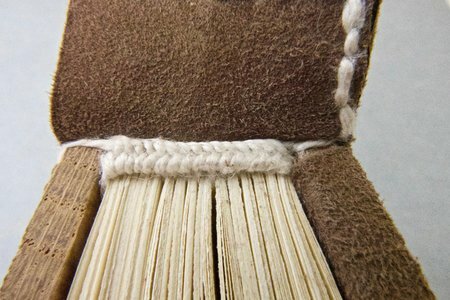 Application of adhesive was minimal, and there was no need for a full facility of bookbinding tools and equipment. The only thing was that the tables in the venue had glass top. I was afraid of accidentally breaking it when we rounded the back of the book with a hammer. I chose materials that were available in the local art shops. Heavy bookbinding tools and equipment such as sewing frame, nipping and finishing presses and board shear are not something everyone can afford. Particularly in a country like Singapore where the number of suppliers and potential customers are much lesser than in, for example, UK, it makes more sense if we introduce materials available locally. Although I was nervous at the beginning, it turned out to be totally an enjoyable experience. 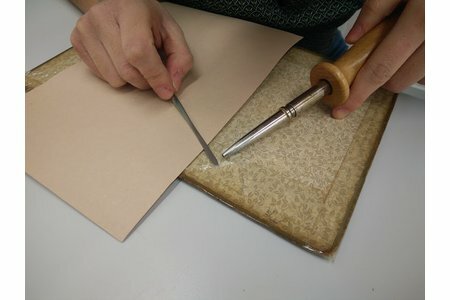 More than anything, I was glad to see participants in my class, who were interested in bookbinding, were also keen to hear my experience at West Dean and wanting to learn more about the craft. In early 2016, a group of passionate friends, including Ian and I, established the Book Arts Society (Singapore). 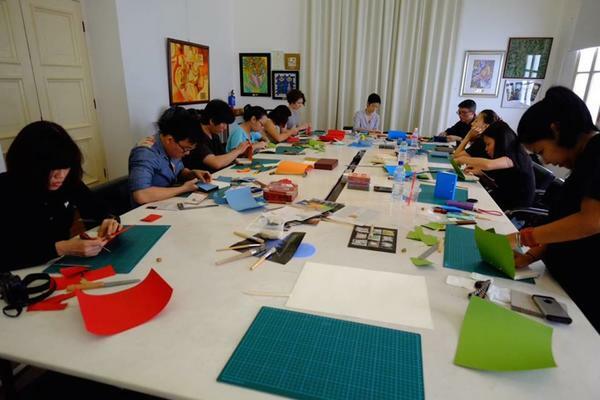 Through this society, we will offer more bookbinding workshops, and I will be one of the instructors. As this is not my full-time job, I will not be making money from this activity. Instead it gives me such great joy which wholly satisfies my wish to do more bookbinding.